Event planning, some say it’s the most entertaining career ever, and I would have to highly agree! I would have never imagined myself as a destination wedding planner in Cabo San Lucas of all places… Well, you never know what life surprises you’ll be blessed with! Before relocating to Cabo I had been doing charity & fundraiser event planning for private corporations throughout the LA and Orange County areas of CA since 2004. I majored in Hospitality Management with a minor in Public Relations from Cal State Fullerton. 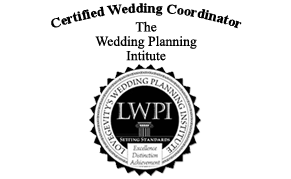 I also completed my certification in Wedding Planning at LWP the Lovegevity Wedding Planning Institution. I believe a great event planner should have strong skills in organization and communication. Their technology and methods should be up to date and on the latest trends! It takes a great amount of skill in all of these areas to produce and plan the perfect event. When relocated to Cabo San Lucas I was on vacation mode, as would anybody. Soon enough, the beautiful beaches of Cabo became my place of work and CaboBeachWeddings.com was born! It is with great pleasure I can announce that my team is part of Cabo’s best offering award winning personal service every step of the way. Bringing fresh ideas, innovative concepts, and turning couples dream weddings into reality has officially become my full-time career. Working closely with couples through each detail and watching it all come into perspective is really what it is all about! My promise to you is to bring you the resources and creative design expertise to craft elegant events that exude charm and your personality. 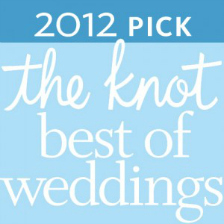 Experience the difference when planning your wedding with CaboBeachWeddings.com contact us today and lets start planning! Baja Flowers is Cabo wedding premier florist! Providing professional service and the freshest most extensive flowers in all of Cabo San Lucas. Baja Flowers has years of experience in weddings and special events. From casual to over the top they have a creative unique design and an eye for detail. Cabo Properties has a reputation for experience and excellent service! If you’re considering a private villa for your big day, Cabo Properties has an array of properties to chose from. From cliff-side to seaside you will be amazed at type of villas Cabo Proprieties has access to. Imagine your honeymoon spent in a private villa with personal service. Make your event worth every memory and book the private villa of your dreams. Sugar & Salt Co. is by far the best food you’ve ever had from a caterer. 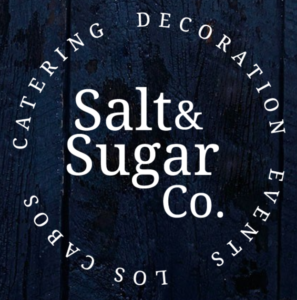 Salt & Sugar Co is a full-service catering and event design company, leaded by Event Designer Paula Jiménez and Executive Chef David Navas, both with more than 10 years of experience in their fields sharing their passion creating unforgettable events. Not only does Salt & Sugar Co offer catering they also have access to Cabo most finest rentals. From linens, to chargers, to chairs Sugar & Salt Co. has it all. 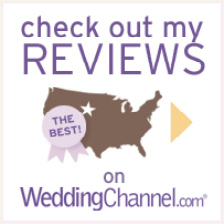 Take a peek below and see what our past couples had to say about their experience with us! Why Cabo Weddings Are So Popular!